The NatHab Book: "It All Started With A Seal"
A desk phone, $600 and one very wacky photograph. It’s just about all Ben Bressler had about 25 years ago, when the idea to create Natural Habitat Adventures was still just flickering in the back of his mind. Who could predict that this little start-up would one day evolve into a world leader in nature travel? Writes Ben, “It was 3:00 in the afternoon, and the year was 1987. To say my life at work was slow was overstating my daily production.” But something happened that day that would change his life forever: the single-line phone on his desk rang for the first time that day. On the other end of that call was the development director for the International Fund for Animal Welfare wanting to know if Ben’s travel company was interested in running helicopter adventures to view baby harp seals in the Gulf of St. Lawrence. The only problem was that Ben’s “travel company”—started 11 months ago—consisted of just that clunky desk phone; a few black-and-white business cards printed at a local copy center; a typewriter-written, mimeographed leaflet that functioned as a “brochure”; and $600 Ben had saved by driving a garbage truck at an amusement park in New Jersey. Oh, and then there was another slight complication: Ben had just come off a short stint as an East Coast prep school history teacher, and he really had no idea where the Gulf of St. Lawrence was. Below, is an excerpt from Ben’s chapter in the book on how NatHab got its start. “For thousands of years, native people of Canada’s eastern seaboard hunted harp seals for meat, fur and other purposes. It was a subsistence hunt much like any other in indigenous communities. Several hundred years ago, that all changed. The commercial hunt, mostly for the seals’ rich oil, began; and in the late 18th century, the first wooden sailing ships arrived to commence a boat-based hunt. By the mid 1800s, up to 12,000 men arriving in as many as 300 schooners hunted annually. 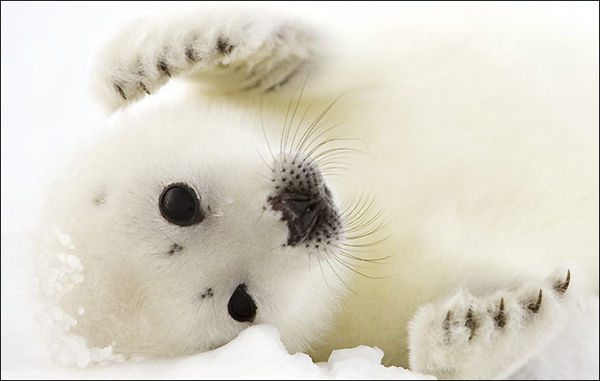 It is estimated that the baby harp seal catch exceeded 500,000 animals during many of those years. By the mid 1900s, the mainly Norwegian fleets had arrived with steel-reinforced hulls and, though the population had already dwindled, hundreds of thousands of seals were still ‘harvested’ annually. 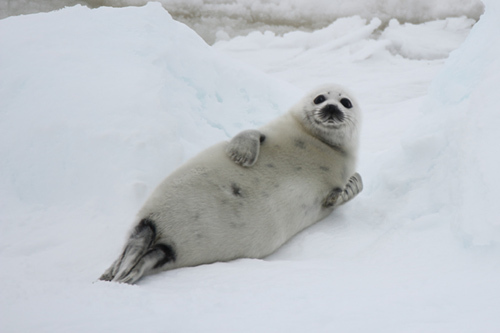 Between 1950 and 1970, harp seals in the Atlantic decreased by 50 percent, from somewhere around 2.5 million down to half that number. “In 1967, a Welshman living in Canada and working part-time at the New Brunswick Royal Society for the Prevention of Cruelty to Animals (RSPCA), Brian Davies, was invited to witness the seal hunt amid growing concern that the method used was cruel. The seal-hunting community anticipated Davies would approve the hunt and move on, but what he witnessed that first day on the ice floes shocked him. Davies went on to form the International Fund for Animal Welfare (IFAW), dedicated to ending the commercial harp seal hunt and currently the most powerful animal welfare organization in the world. Unlike Greenpeace or the Sea Shepherd Society, for example, IFAW sought political and media solutions to reach its goal, eventually employing French actress Brigitte Bardot in the 1970s to create her now famed television and print campaign. 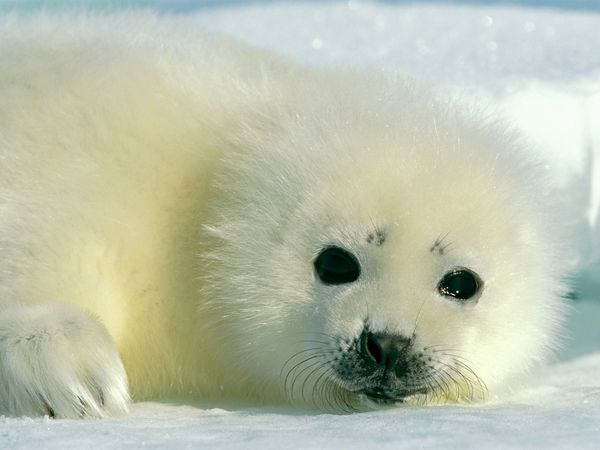 “After years of heated battles, including jail time and threats on Davies’ life, a European Community Directive in 1983 banned the import of harp seal skins, resulting in a dramatic decline in the hunt during the following years. But there was still a landsman hunt, where locals would sail or drag dories (small, wooden boats) out onto the ice floes. It was now Davies’ idea to replace that hunt with seal-watching tourism. ‘You can’t just take money away from the hunters without replacing their revenue’ was his sentiment. After so many tumultuous years, this is where I came onto the scene. “After having signed on to operate these trips, I made my first visit to Atlantic Canada to inspect the hotels and meet with locals who would help me run operations. While the seal hunt was a local issue in that it affected so few Canadians and it barely involved anybody in Prince Edward Island where our first ‘Seal Watch’ was to be based, it was in fact a national and international matter, with emotions running deep on both sides. ‘How could they murder such innocent, little creatures,’ screamed the seal lovers. “ ‘Who were the Americans and Europeans to tell us to change the way we have lived our lives for hundreds of years’ was the angry reply among the seal hunters and fishermen. The issue was hot, and prime ministerships had even been won and lost because of candidates’ positions on the seal hunt. Here I was, a young man with very little understanding of the deeply rooted emotions involved, ready to bring hundreds of seal lovers into the center of the storm. Though most of the locals looked forward to a new and exciting adventure industry in the islands, the initial reaction from some islanders was that I was another protester. After a few drinks in the bar and a couple of prickly words by some hockey fans, I found myself in the middle of a potential brawl. At this point, I hadn’t been a part of this issue for very long; in fact, I hadn’t been engaged in this issue at all—I had simply been asked to run tours to visit baby harp seals. But to a few drunken locals, I was the enemy. A 50-year-old hotel employee grabbed me by the chest hair and pushed me across the room, a local fisherman from neighboring Magdalen Islands squeezed by me with a sharp elbow and plenty of snide comments were thrown at the ‘American seal lover guy’ by young and old alike. To them, I was a ‘Greenpeacer.’ I might as well have been the same guy with the fire hose who, it is rumored, killed a seal hunter by washing him off the ice floes from the deck of a Greenpeace ship in the 1970s. Get your copy of the brand-new adventure book from your favorite travel provider. “Though the temperatures were in the single digits and we were in an environment more suited to a polar bear than to a guy from New Jersey, I somehow felt right then and there as though I was born to do this… . As for that “wacky photograph”? 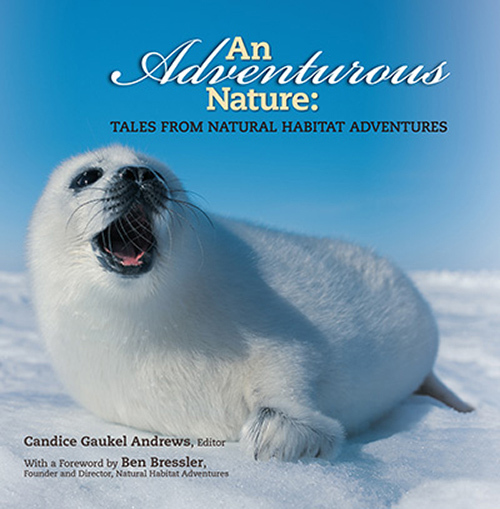 Well, you’ll have to wait until you get your copy of An Adventurous Nature: Tales from Natural Habitat Adventures. I was one of the first American journalists to visit the harp seals, the purpose being to write stories that would encourage Americans to go see for themselves. It was one of the most satisfying wildlife adventures I’ve ever done. The baby harp seals are enchanting, and I liked the idea that the former hunters were employed as guides in order to replace the local income lost from hunting. That trip became a chapter in my book Seals about seals around the world. If you’ve never been go! If you have been, go again. It is seriously wonderful, one of those things in life you will never forget or ever regret. You go, Ben! I worked at an adventure company for many years. We did 4×4, airplane, mule packing, and river trips in the 4 corners area. It was a blast. Cool story (no pun intended)! My story is similar, minus the big break, though I’m working closely with the Inupiat Eskimos in Kaktovik, Alaska as we build our business in Polar Bear Photo Tours. It’s nice to see what someone else with passion can do to bring his idea to life. It’s very encouraging!